Well, this is my submission into the jam. I give you Lumber John. 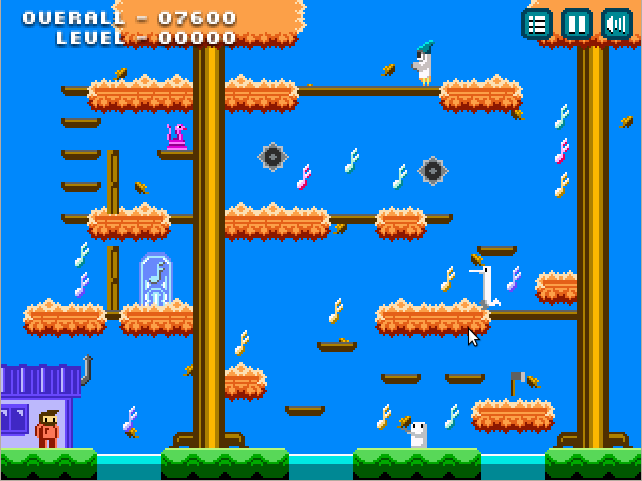 A platformer in the vein of classic 8-bit games. 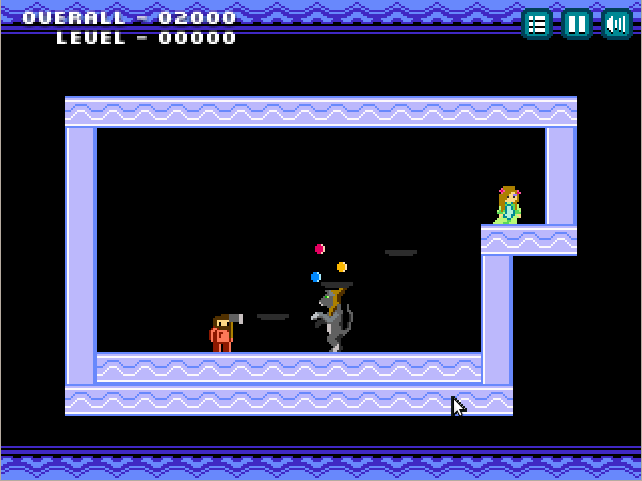 It's my first Flash game and also my first game made with Stencyl. The forest has become overrun by monsters and the beautiful songstress needs your help! 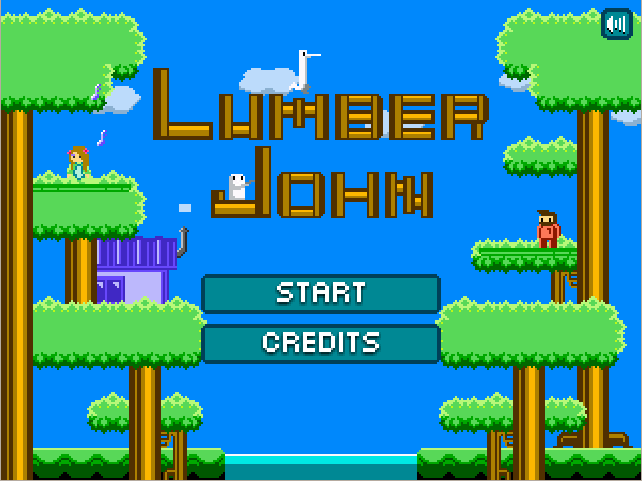 Take up your ax and save the day as Lumber John, a lumberjack with nothing to fear. Numerous magical doors have been placed in the forest to help you make your way to lairs of evil where you will do battle with likes of wizards and dragons. The game is currently in bidding on FGL, but anyone can check it out at the link below as long as you have an account. Check out Ducky Pond to read up on my devlogs. Cool! How long did this take you? I actually started it a couple days before the jam was announced so it's been almost a month in the making. Great job man! Well put together and lots of fun! When do you plan to release on mobile? I plan on porting to iOS and Android as soon as I seal the deal on a web sponsorship. I am rather curious about how the sponsorship goes, I don't wanna know your exact figures of coarse but I am curious how the process goes/ how long it takes/ how it is dealing with the sponsor? Good luck! Usually, people use FGL (fgl.com), and it usually stays there for nearly a month before you choose a bid. The way it works on FGL is that some staff members review your game, and give you a score based on 5 categories- Fun, Graphics, Sound, Intuitiveness and Quality. They also give you a score for each of those categories. After the initial review, you get a chance to improve your game based on the comments the reviewer makes, and then he does a re-review. Then, your game is up for sponsorship, and sponsors can see your game and bid on it. After you find a bid that you're satisfied with, you can choose it, and then you and that sponsor do what you have to do for that sponsorship (You put in the preloader, or whatever they want you to put in there, they pay the money), and then the game goes viral. Well, that's if it's the most common sponsorship type, Primary- the other one is Exclusive. Exclusive means that it can only be on their site, I think (I also heard elsewhere that it means no sitelocks, but AFAIK it's just their site), while primary means you can sell sitelocks to others but the viral version has the main sponsor's branding. The viral version is the version that goes to 100s of websites, and the sitelock version is one that you give to a sponsor with their branding but can only be on their site. Different sponsors act differently. There's a forum on FGL which talks about the good and bad sponsors, and most seem like nice people, but some take a long time to reply emails, decide not to sponsor your game after you've already accepted the bid, etc. There you can also see that the mean of accepted bids in 2009 was $1500. I should also note that while it's on FGL, if you make it available to developers (which you should, if you put a game on FGL), you will also get feedback from fellow game devs. Thanks so much for the quick and detailed reply. I am registered for FGL and have been on it a few times but was unsure of the details and figures. I find it hard to believe they pay so much and thats why I asked. It doesn't seem to make sense to me how these companies could ever recoup what they spend to sponsor games. I understand they make money from people going to there website and the advertisements but still. In the past I used mochi ads and at this point with one game I have almost 25,000 sessions, 46,000 impressions and have only earned $18.50 so far. Maybe a single game wouldn't earn that much, but they need to get games with their branding to get others to their site, which can lead to playing other games and getting more revenue. If there wasn't money involved, sponsors wouldnt do it. Sponsors don't use Mochi Ads, they use higher paying ads, and they get more than 25,000 sessions with all of the games on their site combined. I was told by some people on FGL that the highest sponsorship ever on FGL was 90k for Berzerk Ball 2, but well, now that sounds outrageous, doesn't it? To not steer the topic too much, game looks great Ben, good luck with the sponsorship! If the sponsorship isn't done yet, though, I think that having the attack and run button both being Z to be a bad idea- 2 actions should rarely be a single button. Wow. Thank you for good information about FGL, though it's a bit out of topic. I'm interested in fgl. Can you explain me about the mobile game part? I mean if your game got sponsored and you decide to sell the mobile version, does the game must include the sponsored brand? Just the latest update. 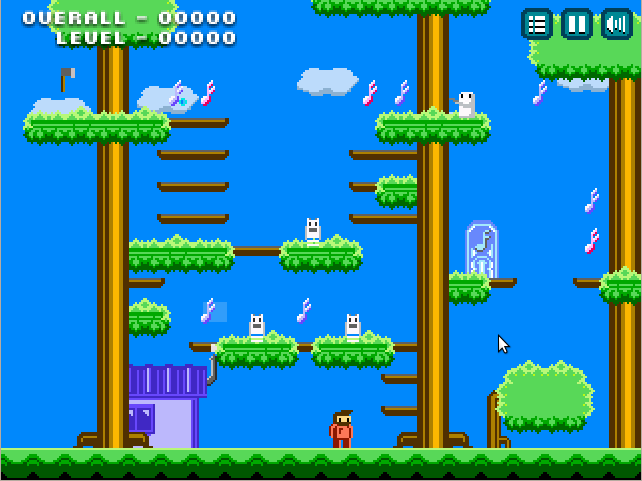 I'm currently overhauling the background graphics for the post-jam release.